Its grower's roots are in Texas, too. Top Notch Tree Farm is operated by sixth generation Texans, and the ranchland we grow on has been in our family for more than 100 years. We're members of the Southeast Texas Nursery Growers' Association and the Texas Nursery & Landscape Association. With the great water supply we enjoy, and plenty of room to grow, we plan to keep supplying you with trees for years to come. It has better root ball development. This in turn means more reliable and successful transplants. 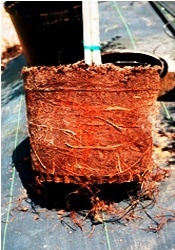 That's why 100% of our trees are container-grown, using #1 liners grown in root modifying pots - factors that give each tree a vigorous root system. We also use a Pot-in-Pot growing system for all 15 and 25 gallon containers, because the temperature in the pot varies less than pots above ground, and water, fertilizer and the growing media can be controlled better. We do extensive root ball pruning each time we bump up a tree so that we do not have the circling girdling problems that plague so many other container-grown trees. Doing all these things helps our trees to have a denser fibrous root system. It comes in exactly the size you want. It's no accident that we grow our trees in the sizes that you request most. You'll find Top Notch Trees in 15, 25, 45, 65, 100 and 200 gallon containers. This range assures you of the versatility of placement and precision of scale that your project requires. It's totally at home in the Texas countryside. 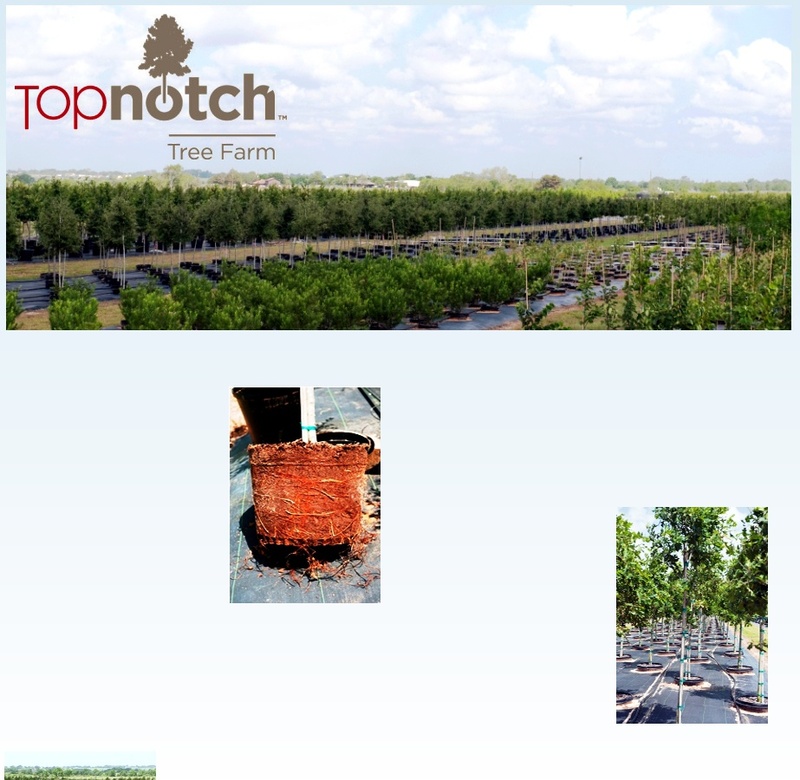 Every Top Notch Tree is a long tall Texan, raised on our own land holdings just west of Sealy, Texas on I-10 (with our farm entrance about 2 miles north of I-10 on FM 2187). This location makes our trees easy to transport to your site, since we're just 57 miles to Houston, 116 miles to Austin, 148 miles to San Antonio. We understand the importance of seed sources. All our liners come from southern seed sources west of Interstate 45. Additionally, we tag every tree so that we can tell you when we bought the liner and who from. It has a fuller canopy. So it looks better right from the start. The reason? 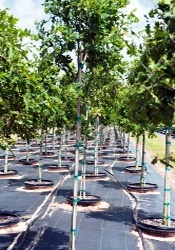 We use wider spacing to grow our trees: 6 ft. on 15's, 8 ft. on 25's, 10 ft. on 45's, 12 ft. on 65's. The results are beautiful to see: better canopy, better branching development and thicker trunk caliper. Additionally, we use Best Management Practices in pruning the canopy so that we have a strong straight central leader, no co-dominate branching and a high quality crown. It understands Texas hospitality - so consider yourself invited. We'd love to have you visit the farm in person (Top Notch Trees love to show off on their home turf). Simply call or email to let us know when you'd like to come. 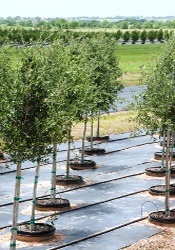 We'll arrange to give you a full tour, discuss all your tree needs, and even let you pick out the specific trees you want for your current project.